One in three Burundians will need humanitarian assistance this year, a 20 percent increase on 2017 as conditions worsen in one of the world's poorest countries, the UN development body said Tuesday. 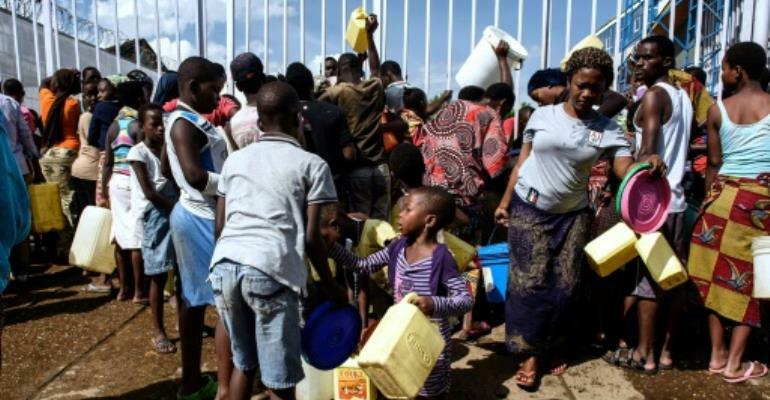 The vulnerability of the Burundi people "is perpetuated by the socio-economic situation but also by the rise in natural disasters," said Garry Conille, Burundi representative of the UN Development Programme (UNDP). These problems have brought about "a deterioration in living conditions and access to basic services as well as the displacement of populations," he added. "Analysis of the humanitarian needs (of the country) shows that 3.6 million people, a third of the Burundi population, will need humanitarian assistance this year. That represents an increase of some 20 percent over last year," Coville said. He was presenting a plan which was prepared by humanitarian agencies working with the Burundi government, which normally refuses to associate itself with such initiatives by the international community. It will take at least $141 million (115 million euros) to meet those needs this year, the UNDP estimates. Burundi was plunged into political crisis in 2015 when President Pierre Nkurunziza was re-elected to a third term despite provisions that set a limit of two five-year presidential terms. Former rebel leader Nkurunziza, 54, has ruled the small, densely populated central African nation for 12 years and critics have accused him of being a dictator who refuses to give up power. The government is currently organising a controversial referendum, to be held in 2020, which could allow Nkurunziza to remain in power until 2034. The government would not allow any reference to the political situation to appear in the humanitarian study. "Women and children are particularly vulnerable," said Conille, with acute malnutrition affecting the under-5s in eight of the country's 18 provinces. The new plan doubles the number of people targeted for aid, from last year, to 2.4 million. The violence in Burundi in 2015 left 1,200 people dead and more than 400,000 displaced, according to International Criminal Court figures. Burundi is classed as one of the poorest nations in the world. It suffers from a regular lack of foreign exchange, petrol shortages and health and food crises.